In Feburary Michele and I stayed in an apartment around the corner from the Church of St Denis in the Marais. We were the highest bider on an apartment as an item in a charity event for Cancer Care for Kids. It was a great apartment and we would often eat lunch there. 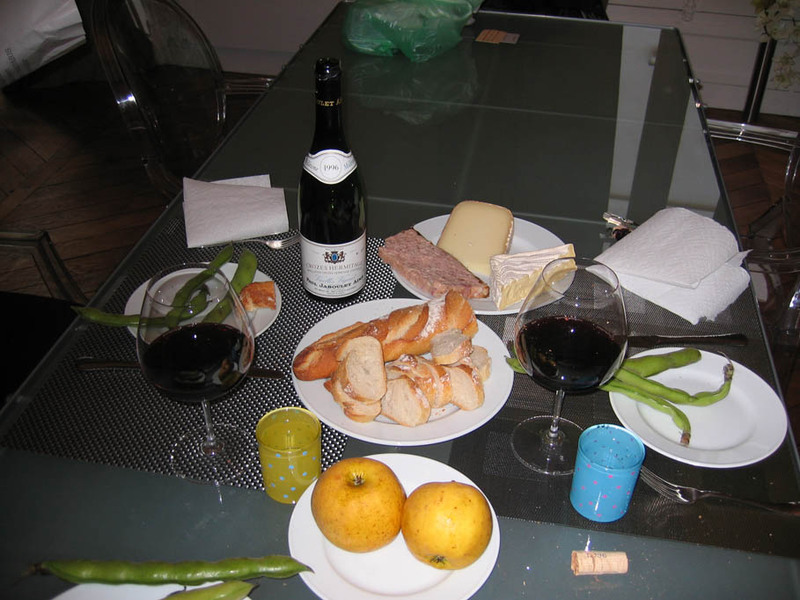 One afternoon I brought a bottle of Crozes Hermitage Vieilles Vignes 1996 from Paul Jaboulet Aine. It was all leather and cherry and was a perfect combination with the paté de lapin with cognac, bread and sheep milk’s cheese that we brought at the market. One of the best buys in wine today is Crozes-Hermitage. They can also last a very long time. There is a wine store that had magnums of the ’79 from Jaboulet. It took me three trips to Paris but I bought all that he had. I drank them all. On the last two trips I brought the last of the magnums of the 1989 and am looking forward to drinking them. 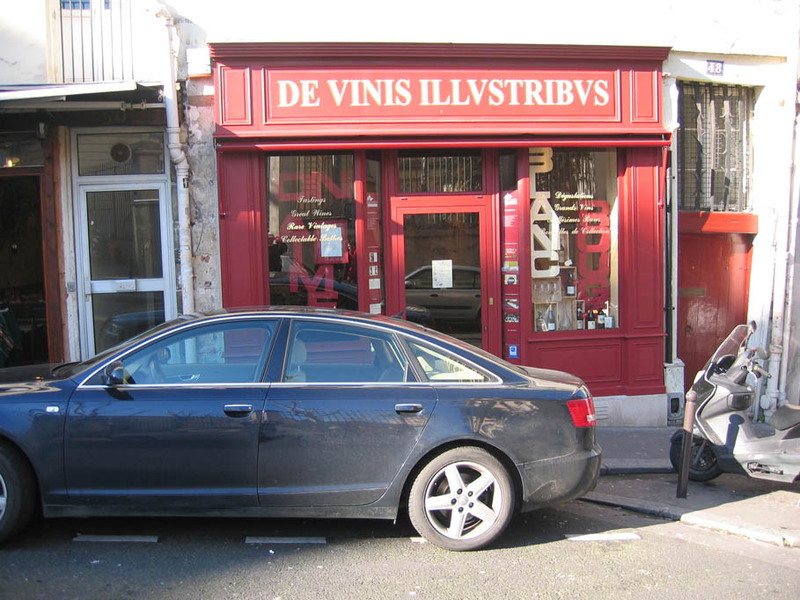 De Vins Illustribus is a wine store that specializes in old wines. 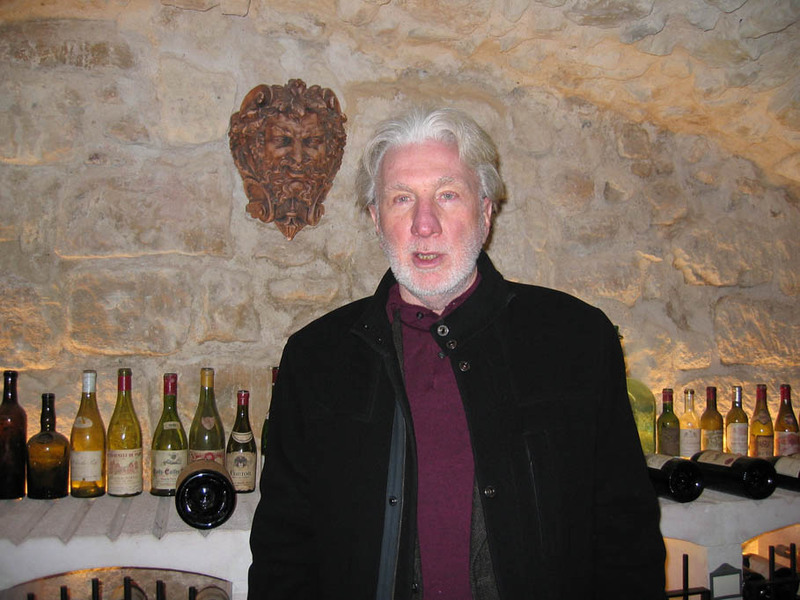 The owner Lionel Michelin speaks English and is very knowledgeable about older vintages. I purchased two bottles of 1985 Hermitage from Captiour and one bottle on Chateauneuf-du-Pape 1998 from Clos Pope. I asked him if he had an wines from 1942, my birth year. He showed me a 1942 wine from Algeria but it was 500 Euros!